Excellent food and service. The most delicious crisp fried fish I have ever eaten. New menu is wonderful. Service is as always perfect . 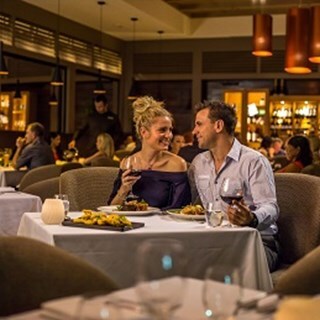 Never visit Cairns overnight without enjoying dinner at Tamarind. the food and cocktails were excellent, service was also excellent. pricing was just a little on the high side. Early bird special is great value for money! Professional and knowledgeable chefs and staff serving delicious food in a relaxed and comfortable environment. Always a lovely evening. Our go to restaurant for Anniversaries and birthdays. They went out of their way to provide a special Anniversary dessert for us! Always a delight at the Tanarind. Thank you for a wonderful evening, the food, the wine, the atmosphere and the service from the lovely Virginie was outstanding. A great atmosphere to celebrate our anniversary. Tasty food and wine. A beautiful looking restaurant which is carpeted and designed for minimal noise and furnished with quality chairs for great comfort. Waiters are lovely and attentive and my glass of water was never empty. I do feel as though the food was nice, but perhaps not THAT special. It was presented beautifully but I'd say that it could be a little more unique and flavourful. Desserts are nice but they aren't incredible, nor are the mains. At a price of roughly $40 per dish I expected something a little nicer. I'll still return given my accor membership. Good but not great. 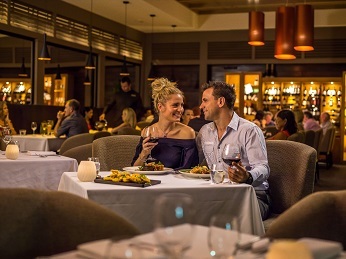 We have never had a bad meal or service at Tamarind - one of our favourite restaurants in Cairns. Tamarind as a venue is the best of breed in Cairns, and the staff is consistently the very good - again best in town. The food never disappoints. I tired a new version of a dessert and it was excellent. The food was very good. Fresh, well cooked Md packed with flavour. We dine here often and are never disappointed. Service is always first class, the degustation is hard to pass up with a wonderful array of dishes, flavour combinations with wines to match.